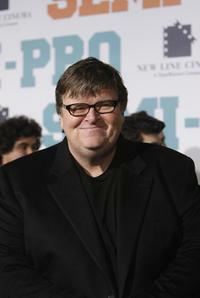 Michael Moore at the Italy premiere of "Capitalism: A Love Story." 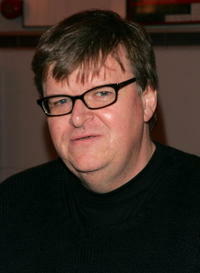 Michael Moore at a special Beverly Hills screening of "Sicko." 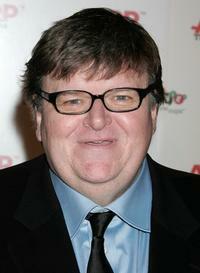 Michael Moore at the premiere of "Semi-Pro." 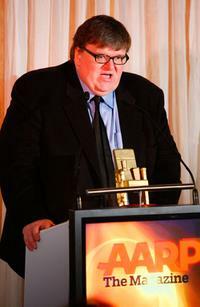 Michael Moore at the AARP The Magazine's Seventh Annual Movies For Grownups Awards at the Hotel Bel Air. 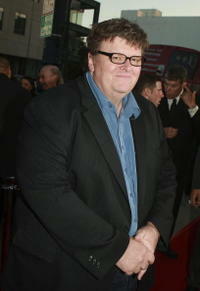 Michael Moore at the photocall of the movie "Sicko" at the Palais des Festivals during the 60th International Cannes Film Festival. Michael Moore, Kathy Griffin and Steve Wozniak at the 19th annual Producers Guild Awards held at the Beverly Hilton Hotel. Michael Moore, Meghan O'Hara and Casey Affleck at the press room at the 19th annual Producers Guild Awards held at the Beverly Hilton Hotel. 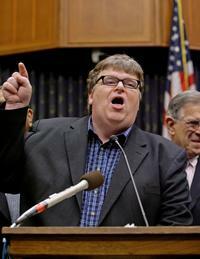 Michael Moore and several members of Congress at the news conference and rally ahead of the release of Moore's new movie "Sicko". 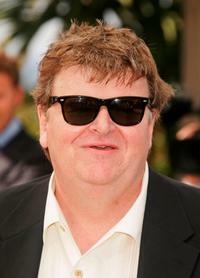 Michael Moore and Jacqueline Bissett at the AARP The Magazine's Seventh Annual Movies For Grownups Awards at the Hotel Bel Air. 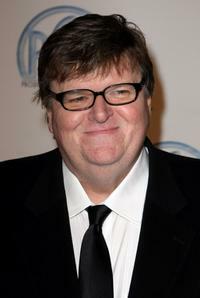 Michael Moore at the 19th annual Producers Guild Awards held at the Beverly Hilton Hotel. 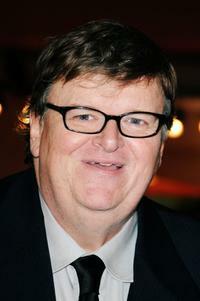 Michael Moore at the premiere of "Sicko". 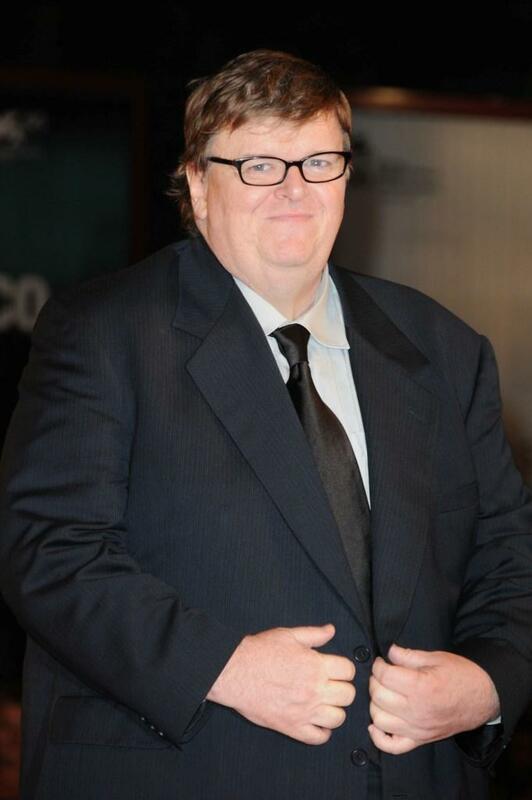 Michael Moore at the screening of his film "Sicko" at the 60th edition of the Cannes Film Festival. 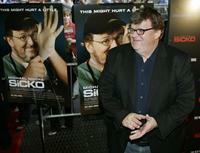 Michael Moore and Meghan O'Hara at the premiere of the movie "Sicko" at the Palais des Festivals during the 60th International Cannes Film Festival. 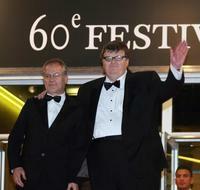 Michael Moore and Thierry Fremaux at the screening of his film "Sicko" at the 60th edition of the Cannes Film Festival. 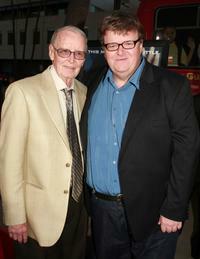 Michael Moore and his father Frank Moore at a special screening of "Sicko". 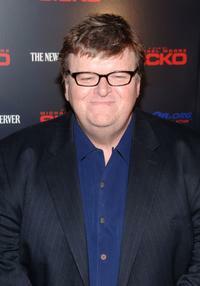 Michael Moore at the Ziegfeld Theater for the New York premiere of "Sicko". 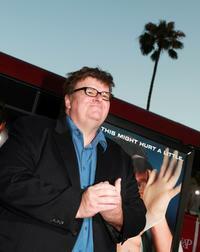 Michael Moore and Meghan O'Hara at the afterparty for a special screening of "Sicko" at the Samuel Goldwyn Theatre. Michael Moore and Meghan O'Hara at the photocall of the movie "Sicko" at the Palais des Festivals during the 60th International Cannes Film Festival. Michael Moore at a special screening of "Sicko".